The Academy Awards seem so arbitrary to me. Sometimes they completely forget to acknowledge performances that turn out to be iconic genre changers in retrospect. Here are nine particularly egregious examples of actors who should have not only been nominated for an Oscar, but they should have beaten that year’s winner. They’re listed by year from oldest to newest. Can you believe this? James Dean didn’t even get nominated for Best Actor for his role in Rebel Without a Cause. True, he did get a nomination for his role in East of Eden that same year and Giant the next year, but that doesn’t excuse this slight. Ernest Borgnine won for his endearing titular role in the film Marty. But Borgnine’s role is nowhere near as legendary as Dean’s. Sadly, Dean will always be a rebel without an Oscar. Have you ever seen the movie Coming Home? It’s supposed to be a serious drama about a Vietnam War veteran, but it’s so dated now that it’s hard to take seriously. 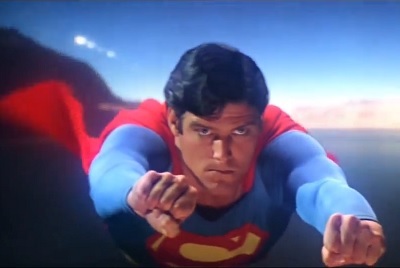 The performances are okay, but Jon Voight definitely did not do a better job than Christopher Reeve that year. Reeve nails both roles as Superman and Clark Kent, making you believe both that a man can fly and be unrecognizable behind a pair of glasses and in between a pair of slumped shoulders. He had to go through a grueling exercise regimen to bulk up for the part, and it shows. Everything he does comes across as charming and effortless. We’ll be talking about Reeve’s performance as the Man of Steel long after we’ve forgotten about… wait, what was Voight’s character name? Gandhi is a decent movie, but it’s completely overshadowed by all of the other amazing films that came out in 1982, E.T. : The Extra-Terrestrial being chief among them. The same is true of the main actors in those two films. Ben Kingsley did a solid job portraying the selfless Mahatma Gandhi, but 10-year-old Henry Thomas infused more emotional power into his performance as a little boy who befriends a lonely alien. There’s simply no question that Thomas should have won Best Actor that year. 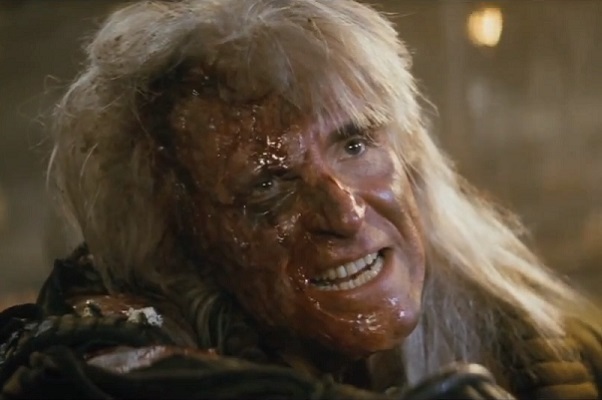 I made a joke about this “i-KHAAAN-ic” role a while back, but I really do believe that Ricardo Montalban’s Khan deserves to be honored as one of the best villains of all time, right alongside Heath Ledger’s Joker. Khan is completely insane and yet dangerously intelligent. I love how he rarely raises his voice, and he can actually come across as disarming and even friendly when he wants to. I have no problem with Louis Gossett, Jr.’s performance in An Officer and a Gentleman, but let’s be honest – which of these roles has really stood the test of time? 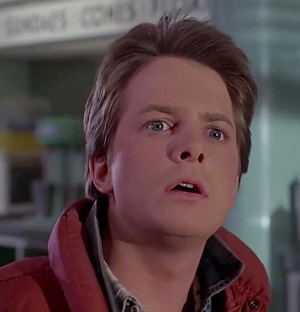 I cannot believe how much the Academy Awards snubbed Back to the Future. That movie has so many memorable performances and yet none of them got a single nod. I’d like to rectify at least one of those injustices. There is no question that Michael J. Fox should have gotten the Best Actor Oscar in 1985. He worked for weeks on practically no sleep, staying on set well into the night and on weekends to shoot crucial scenes in order to meet the film’s production deadline. And yet, when watching the film you never get the feeling that he’s tired, except when his character is supposed to be, of course. His comedic timing is perfect and he carries the film flawlessly. He definitely shows more of a dramatic range than William Hurt did in Kiss of the Spider Woman. Michael Douglas won Best Actor mainly because of his famous “Greed is good” speech. That’s all. 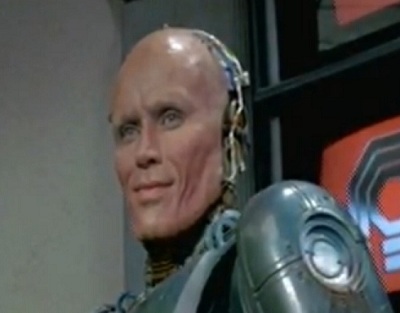 Peter Weller never gave a speech as RoboCop, but he spoke volumes with his simple words, body language, and facial expressions. You completely buy the movie’s premise that he is mostly robotic. His movements look remarkably mechanical. Weller had to wait for hours just to get the suit on and then he had to suffer dehydration and overheating in the hot summer heat while filming. But the performance he gave was worth all of that effort and pain. I know the Academy tends to be biased against science fiction films, but they should have made an exception in this case. Am I seriously suggesting a voice actress should have earned a Best Actress Oscar? Absolutely! Belle is a fascinating character who goes through a lot of changes through the course of Beauty and the Beast. She sacrifices her happiness for her father’s, stands up for herself to more than one monster, and finally learns to love. At the film’s climax, the animation and voice work blend to such an incredible degree that you no longer feel like you’re watching a cartoon. You’re watching a woman losing the love of her life, and it’s heartwrenching. You never get a corresponding feeling from Jodie Foster’s Clarice Starling in The Silence of the Lambs. She does a great job being terrified and naïve, but she’s just not as captivating as Belle. 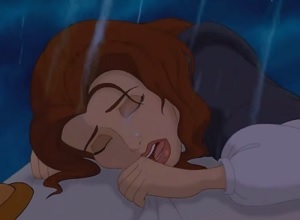 Speaking of which, some people say that Belle suffers from Stockholm syndrome, but that’s nonsense. She refuses to even have dinner with the Beast until he shows kindness to her, and she only returns to him because she feels responsible for her village wanting to kill him. She just wants to warn him, not stay with him again, until she realizes that he’s changed so much that he’s worthy of her love. That doesn’t sound like Stockholm syndrome to me at all. This is a tough one because Tommy Lee Jones deserved his Oscar for his tough-as-nails performance in The Fugitive. 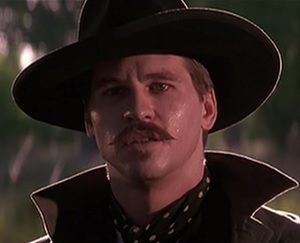 But I think Val Kilmer’s Doc Holliday in Tombstone has a slight edge over Jones for one simple reason: We’ve never seen anything else like this from Kilmer while we’ve seen Jones do the same character so many times it’s gotten to the point of self-parody. Kilmer lost a lot of weight to play the sickly Holliday, and his mannerisms and catchphrases are equal parts funny and melancholy. He’s a walking contradiction: a conman who’s also a lawman, a narcissist who’s a loyal friend, and a man dying of tuberculosis who is eager to join gun battles. All of this easily makes for Oscar material. 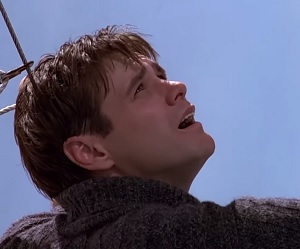 Jim Carrey’s dramatic role in The Truman Show came after he had already established himself as one of the greatest comedians of all time. He was playing against type, like Denzel Washington did when he played a villain in Training Day after so many heroic roles, and Tom Hanks did with his serious role in Philadelphia after years of comedic characters. Both of those turned into Best Actor Oscars, but Carrey didn’t even get a nomination. Why? I don’t know. But one thing is certain: Carrey should have won over one-hit wonder Roberto Benigni. Any other heinous examples you know of? I’d love to hear them in a comment below. This entry was posted in Random Stuff and tagged academy awards, actors, animated films, back to the future, beauty and the beast, characters, christopher reeve, disney, et the extra terrestrial, films, james dean, jim carrey, movies, oscars, robocop, science fiction, star trek, superman, the truman show, tombstone, val kilmer. Bookmark the permalink. Terrific list! I especially agree with Reeve, Montalban, and Weller. A ten-year-old with valid opinions and great writing skills, perhaps. You can share your own opinion without being demeaning of others. Yeah, move over Roger Ebert. How do you not see the irony of this? You attack a bunch of actors just because they weren’t on par with your ridiculous picks. Michael Shannon in TAKE SHELTER is some of the best acting you will ever see. 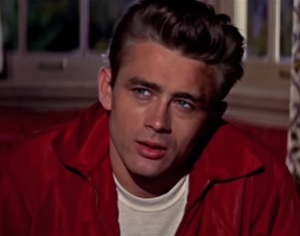 I’ve always thought it odd that Rebel Without A Cause didn’t give James Dean a nod because I’ve always viewed it as my favorite role of his. While deserving the oscar may be a stretch for some of these performances, it makes them none the less memorable! Robert Mitchum in The Night of the Hunter and The Friends of Eddie Coyle. Also try to make your reasoning a bit more valid next time.